Verizon branded Samsung Gear S3 units are now receiving the much-awaited update to Tizen 4.0. The new update brings along a boatload of great new features for the Gear S3. Both variants of the Gear S3; Classic and Frontier are receiving the new update as of now. The update software version for the Gear S3 Frontier is R765VVRU1BRG1 and the update software version for the Gear S3 Classic is R775VVRU1CRL8. 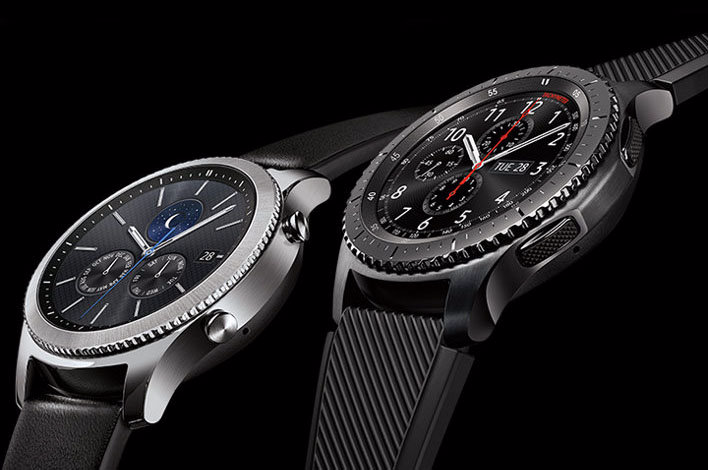 It’s time to rejoice for Verizon Gear S3 users since the update brings along a lot of features from the Galaxy Watch over to the Gear S3 variants such as the unlock with bezel feature, rich and fun messaging experience, multitasking while on a call, and a few more. To download the update, head over to the Galaxy Wearable app on your Android device and tap on Settings > About Gear > Update Gear software > Download updates manually. Once the update is available, simply tap on Install and then tap OK.
Make sure the device has above 60% battery before beginning to download and install the update. Once the update is installed you’ll be greeted with the new Tizen 4.0 OS on the device.